The Achensee region offers countless options to discover the mountain winter. Spend your winter holidays at Hotel Auszeit**** far away from the distractions of everyday life. 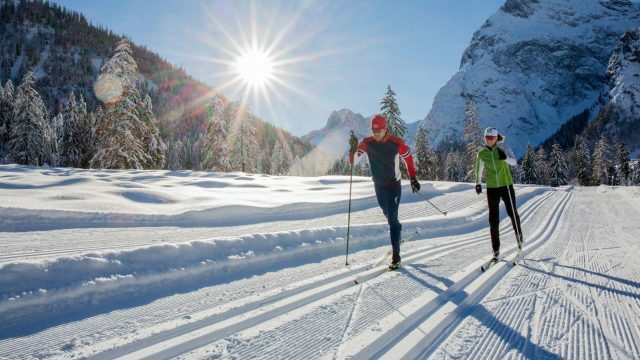 Alpine skiing, cross-country skiing, snowshoeing, tobogganing, snow tubing, ice skating, ice stock sports – there’s an endless range of activities to enjoy. The region boasts more than 200 km perfectly groomed trails for classic and skating style. The village trail starts right on the doorstep of Hotel Auszeit. Skiing enthusiasts will find 50 km of pistes in all levels of difficulty. Winter is not all about skiing. The region offers an abundance of activities for guests looking for a gentle winter experience.